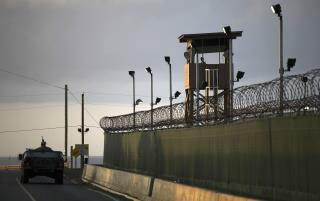 (Newser) – Multiple sources tell the New York Times that officials at Guantanamo Bay have started waiting longer before force-feeding hunger-striking prisoners, allowing their physical condition to deteriorate past the point that previously would have resulted in intervention. Per information received from detainees' lawyers, the Times says the change was implemented around Sept. 19. And in a column for the Guardian dictated to his lawyer, one prisoner agrees with that account and describes the situation as dire. "The 20 September was the day they told us they would no longer feed us. They have decided to leave us to waste away and die instead," writes Khalid Qasim. "There is a man who is in charge of all the medical staff. ... He was the one who called us all in and told us they would stop feeding us. As soon as he took over I knew he was bad news and now he has decided to end our lives."